The real difference between GK News Show Pro and GK News Slideshow widget configuration are options „Amount“ and „Article block width„. 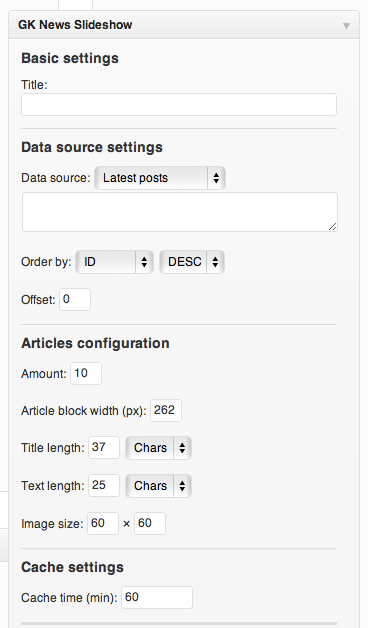 First option specyfies amount of the displayed articles, and the second option defines how big will be the article blocks. Especially for this widget, we have prepared the bannertop widget area.